If you’ve completed the trip around Turkey and Georgia , the obvious extension is to travel around Armenia and Iran. With tours available to join the two legs of the expedition together during the same trip, or the option to split your travels over a longer period of time, there’s a lot of flexibility about how to organise your exploration. Some tours opt to include Azerbaijan rather than Armenia but the restrictions on tourists in that location tends to make it a less popular choice amongst experienced tour guides, instead preferring the relative anonymity of Armenia. Iran is a country which isn’t as well known for its tourist industry as it deserves to be, with its rich history of exotic Persian culture. Following the Silk Road, an ancient trading route, will take you amongst some of the most fascinating sights in the country. 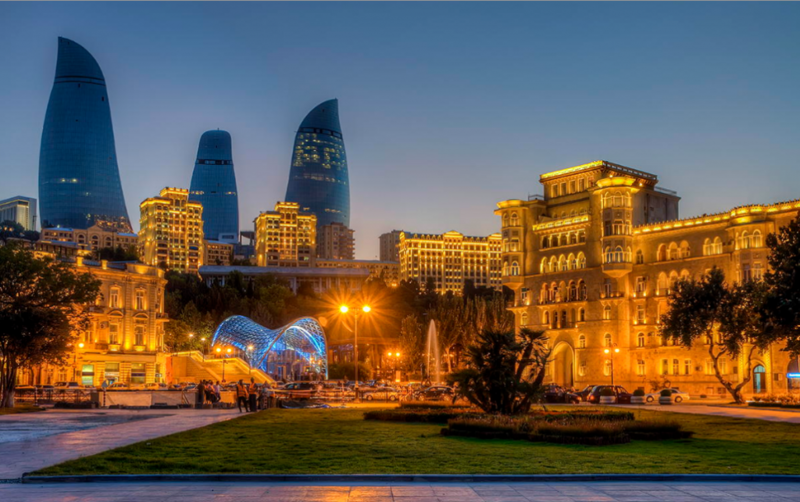 Azerbaijan has been a location which is popular with tourists but there are increasing moves towards restricting the length of stay and heightening visa requirements. This has led to more tours opting to divert to Armenia rather than Azerbaijan. For those that still visit Azerbaijan, there is much to see and do. The Walled City of Baku is one of the most famous sights in the country; a place where oil started to spew out of the ground in 1849 and which can still be found today. An incredible dichotomy of old and new, with sleek modern architecture in juxtaposition with ancient stone palaces. Away from the city, the mud volcanos of Gobustan are a fascinating sight. A natural geothermal phenomenon these mud towers are connected to underground reservoirs of mud and water, sending warm mud out of the top. Very occasionally, one of these volcanos explodes, shooting flames high up into the air and splattering the surroundings with warm sticky mud. Armenia offers an equally interesting experience, with Mount Ararat being the rumoured location for the landing of the biblical Noah’s Ark. Located right on the border between Armenia and Turkey, the mountain has been the subject of dispute for many years, with both sides claiming it as their own. Nevertheless, it is one of the most spectacular snow-capped mountains in the region and a stunning piece of the landscape. Not far away is the capital city of Yerevan, a settlement which dates back to the 8th century BC. More than a third of the total population of Armenia live in Yerevan, and the city is a modern metropolis with much to see and do. Although Yerevan is undoubtedly a very contemporary location, there are a number of historic museums to visit in the area. The Matenadaran has more than 17000 manuscripts and bibles which date back to the Middle Ages whilst the National Museum of Armenia contains more than 400,000 items from the county’s heritage and culture. There’s also a museum dedicated to the 1.5 million victims of the Armenia Genocide which took place at the hands of the Turks at the same time as World War I was happening elsewhere. Thought-provoking, beautiful and unique, Armenia will leave an indelible mark on your soul. Women entering Iran will need to ensure they are wearing a chador, a type of covering. This shouldn’t be a deterrent though as it can easily be achieved with a simple trench coat and head scarf, which can be of any colour. Despite its rather intimidating reputation, the country is very multi-cultural and has many different groups including Muslims, Turks, Arabs, Kurds, Jews, Christians, Nestorians, Zoroastrians, Baha’i and Baluchi. Visitors will find the locals extremely friendly and are guaranteed a very warm welcome. 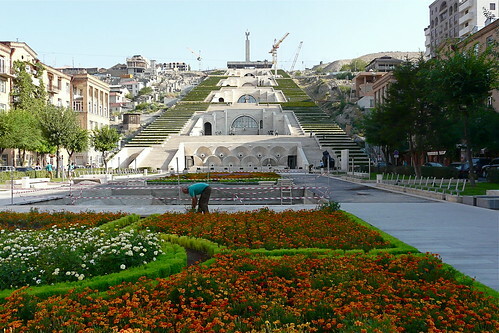 Tehran itself is home to a wealth of fascinating sights including the Peacock Throne and the Golestan Palace, the oldest monument in Tehran. Formerly part of the mud-thatched citadel that enclosed the royal buildings, it was used for important ceremonies and receptions. Just south of Tehran is the Ayatollah Khomeini’s mausoleum, a spectacular building which allows non-Muslims to enter as well. With marble columns, gilded domes and sitting in the middle of a giant plaza, there are plans to create a spectacular complex worth more than $2 billion on this site. A visit to the mausoleum provides an unparalleled insight into the effect that the Ayatollah had on his many followers and how he is still worshipped by many today. Persepolis was the old capital city of the Achaemenid Empire, and its ruins which lie in the north of Iran offer a glimpse of life in ancient times. Dating back to approximately 515 BC, Persepolis was destroyed by Alexander the Great and his troops. Despite this, there are many remnants still standing including the impressive Gate of all Nations, the former entrance to the Great Hall. For those looking to experience more of the local culture, a visit to Yazd will be of real interest. 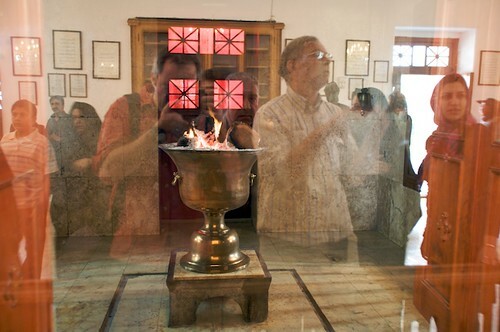 Zoroastrians are the fourth largest group in Iran, and much of the population is based in Yazd. The Towers of Silence and the Fire Temple are undoubtedly the central attraction for visitors. Zoroastrians allow their dead to be buried ‘in the sky’ by leaving the bodies in the Towers of Silence to be consumed by birds. The Fire Temple has had flames blazing for more than two and half thousand years, an incredible feat. With traditional Persian architecture on display, Yazd is the perfect example of a section of Iranian culture. Iran has a wonderful combination of scenery and cityscapes, with the intriguing cultural diversity of Tehran and the desolation and beauty of the Great Salt Desert. If you’ve been seduced by the exotic mystery of the country, you could consider visiting the whole region with an expedition from Istanbul to Peking giving you more time to appreciate the beauty of the area. Alternatively, if you only have a few more weeks spare, you could move on to Central Asia, visiting Turkmenistan and Uzbekistan .